This Saturday, Sept. 17, marks the beginning of National Estuaries Week, which since 1988 has celebrated the many ways we benefit from healthy, thriving coastal ecosystems. All throughout the country, local organizations are organizing special events centered around estuaries between Sept. 17 and 24. 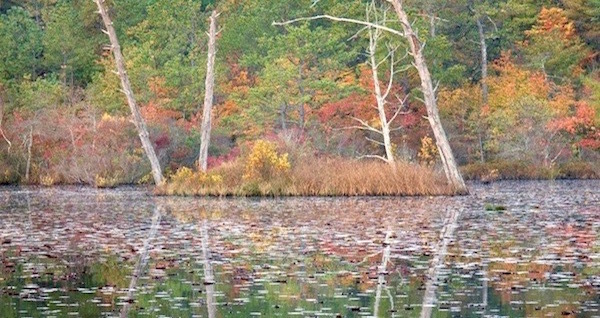 The Peconic Estuary Program is kicking off the week with a nature hike through the Northwest Woods of East Hampton on Saturday, Sept. 17 from 10 a.m. to noon. This three-mile guided hike provides views of the beautiful estuary as well as the Peconic Estuary’s historical land use of the Northwest Settlement. Attendees will meet at Northwest Road parking lot south of Alewife Brook Rd, East Hampton. To RSVP, email [email protected]. Below are PEP’s other events scheduled for later this year. For more information on the work the Peconic Estuary Program has underway, their fall newsletter is online here. Learn about the benefits of native plantings, rain gardens and rain barrels at the PEP native plant garden at The Big Duck in Flanders. Get your hands dirty and help mulch, weed and collect water from the rain barrel and earn how your yard can be eco-friendly. Please bring gardening gloves and garden tools. The Peconic Estuary Program is also invite you to participate in the Citizens Advisory Committee (CAC). The CAC holds quarterly meetings where members meet and discuss a wide variety of topics concerning the Peconic Estuary, with the common goal of promoting clean water and healthy bays. Visit the PEP CAC webpage to learn more about meetings and participate in the CAC Facebook page to get involved in the conversation.